that's very effective especially as a half and half shot too!! This is so pretty, Sylvia. Stunning, lovely reflections and droplets. Love the angle!! A fav. 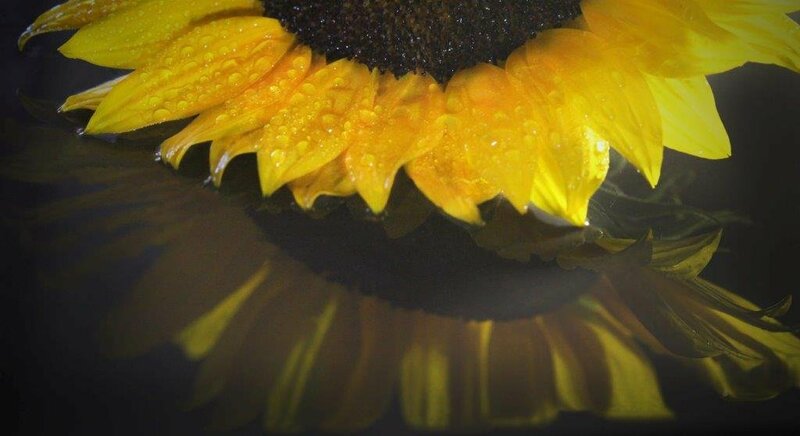 This is very pretty- it's like the sunflower is floating on water. Beautiful! I really like the reflection!